What interests you at the Grainger Museum? All of it! 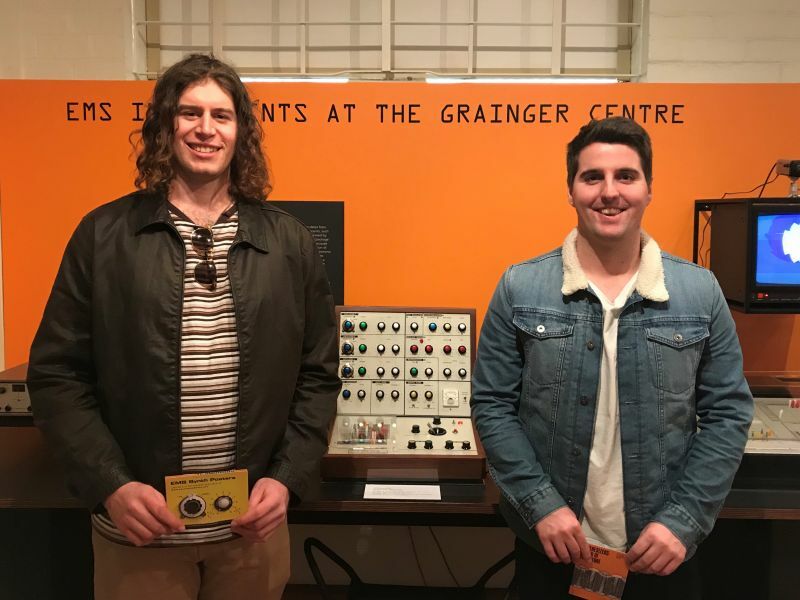 We came here specifically for the Synthesizer exhibition. It was also good to find out about Percy Grainger. What do you think about the exhibition Synthesizers: Sound of the Future? Really good. Good to hear the stuff. It was good to have it explained and the bigger picture described. The hands-on nature of the exhibition is terrific. It was also great to see the VCS3 and to play with one in the flesh. What is your favourite object in Grainger Museum? The Kangaroo Pouch was fascinating; making sounds with everyday objects in collaboration with Bernard Cross’ electronic technology. Many thanks to Mitchell and Marcus for taking the time to answer our questions. Thanks also to our volunteer Roland for conducting the interview.